2019 marks the 50th anniversary of The Very Hungry Caterpillar book. To mark this very special occasion we’ve got lots of exclusive new content and digital experiences for you and your child to enjoy. Keep the magic going by trying out these fun educational apps designed especially for young children. Help your child get school ready with Hungry Caterpillar Play School. Hungry Caterpillar Play School is a fun learning app covering early math, spelling, reading, writing, science and creative arts. Using internationally recognized early learning goals, Hungry Caterpillar Play School is filled with wonder and humour, while using up to date best practices in children’s education. Discover the world of Eric Carle while exploring Shapes and Colours, ABC, 123, Art, Jigsaws and Books. With new content added monthly. Out now on all major app stores. 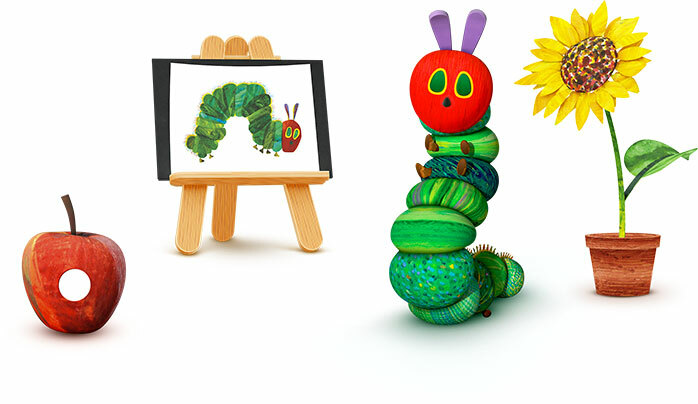 My Very Hungry Caterpillar sees Eric Carle’s much-loved character come to life in this beautiful interactive app. Children can care for their very own Very Hungry Caterpillar, play with him, feed him, help him explore, pick him up or take a peek into his colorful toy box. The 3D animation captures the unique style of Eric Carle’s award winning art, delivering a wonderful new experience for the millions of fans of the best-selling classic children’s book. Produced by StoryToys, the leading publisher of interactive books and games for children. Out now on all major app stores. 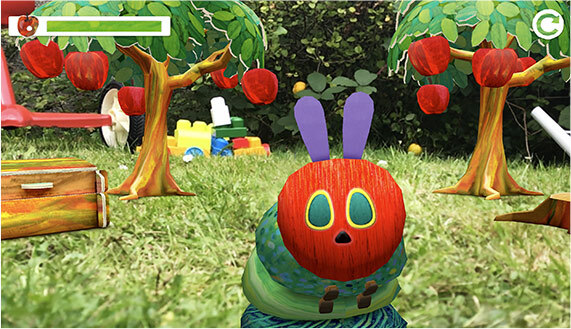 My Very Hungry Caterpillar – Augmented Reality Version The Very Hungry Caterpillar brought to life in the real world, with a stunning augmented reality experience. Watch the caterpillar appear in your living room, on your kitchen table, in your garden, or anywhere you want to play with him.